ONGOING product development has enabled Sandvik Materials Technology to further enhance the machinability of Sandvik Sanmac grade SAF 2205, duplex stainless steel round bar. Significant productivity improvements are claimed for manufacturers of machined components, compared with the previous Sanmac SAF 2205 version available from Sandvik and similar grades from competitors. In machining and drilling trials, the new Sandvik Sanmac SAF 2205 bar gave 20% better productivity than the previous Sandvik Sanmac SAF 2205 bar and more than 40% compared to similar alloys produced by competitors. The controlled level of non-metallic inclusions in the Sandvik Sanmac family of machining steels is the key to its improved machinability. Improved machinability is available with Sandvik Sanmac SAF 2205 bar without jeopardising key properties such as corrosion resistance and high mechanical strength. The material is also weldable. Suitable welding methods are manual metal -- arc welding with covered electrodes or gas-shielded arc welding. Due to its excellent corrosion properties, Sandvik Sanmac SAF 2205 bar is suitable for service environments containing chlorides and hydrogen sulphide. Typical uses are for machined components where chloride containing media can cause problems due to pitting and/or stress corrosion cracking. 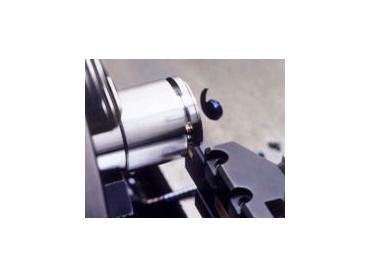 High mechanical strength makes it suitable for components in structures subject to heavy loads. Sandvik Sanmac SAF 2205 duplex stainless steel bar is available from stock in a size range from 20mm up to 450mm.